The results show that in the twelve months of 2014, the Port of Gdansk handled 32.3mt (million tonnes) of cargo i.e. 7% more than in 2013. The most significant factors behind this success include almost 40% growth in the handling of other bulk, more than 13% growth in fuels, 10% increase in grain, and almost 7% rise in general cargo. Additionally, year 2014 will pass into history thanks to the record high container throughput. While twelve months ago, the port was happy to handle its one millionth container, in 2014 it managed for the first time to exceed the volume of 1.2 million TEU, thus improving the last year’s record container throughput by around 3%. However, comparing the container throughput results in Gdansk over the last five to six years shows that its growth more than doubled, with Gdansk consequently raising its position among the largest container seaports in the Baltic from eighth place in 2009 to second in 2012, subsequently maintained in 2013. 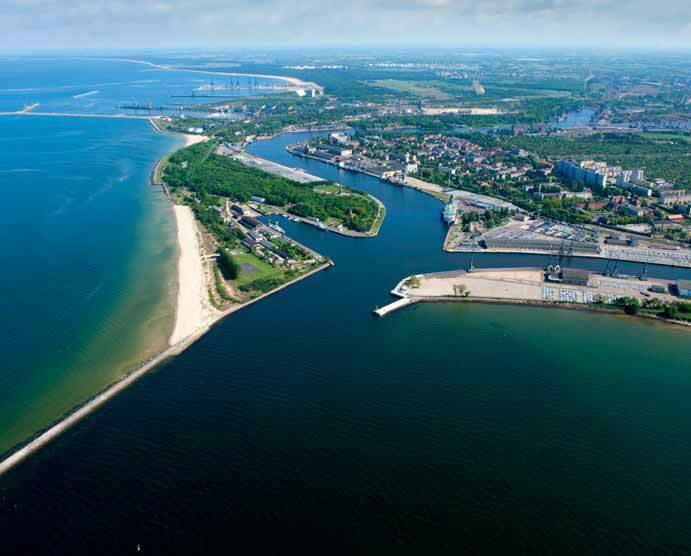 As evident in the preliminary results, 2014 was the third consecutive year for the Port of Gdansk to not only maintain, but also strengthen its position thanks to reducing its distance to Saint Petersburg which has proven unrivalled for many years. The size of ships handled by the Port of Gdansk throughout the last eight years has expanded by almost 70%, with the year 2014 bringing record high results also in this regard, as indicated by the vessel traffic figures.